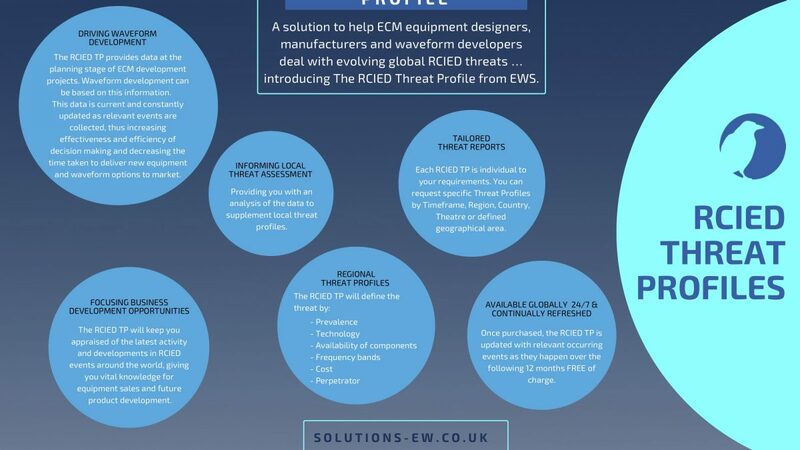 A solution to help ECM equipment designers, manufacturers and waveform developers deal with evolving global RCIED threats … introducing The RCIED Threat Profile from EWS. 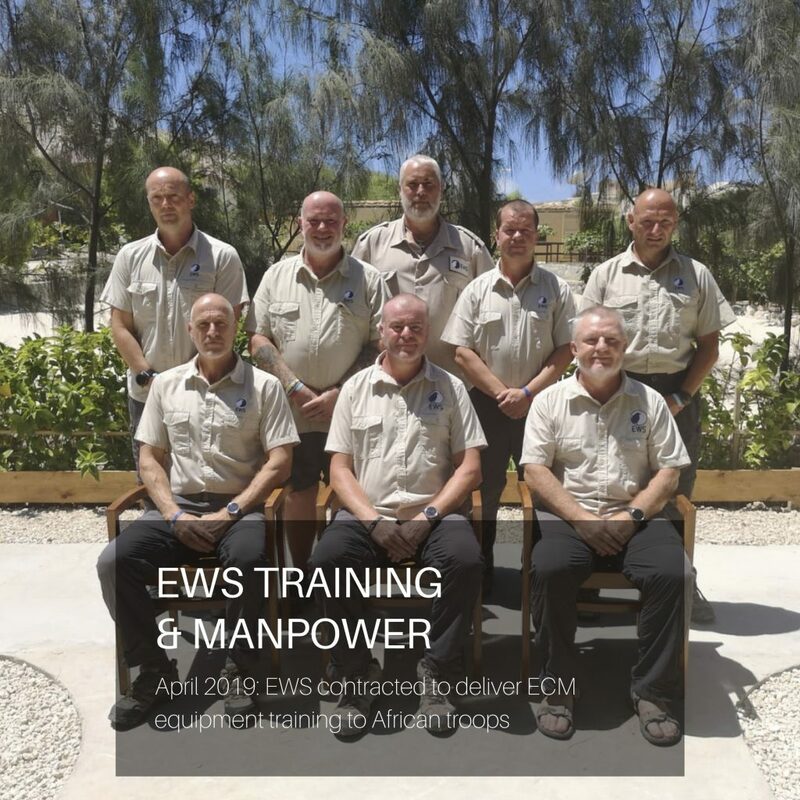 Specifically designed for equipment manufacturers and waveform developers, the RCIED Threat Profile (RCIED TP) will keep you appraised of the latest activity and developments in RCIED events around the world, giving you vital knowledge for equipment sales and future product development. 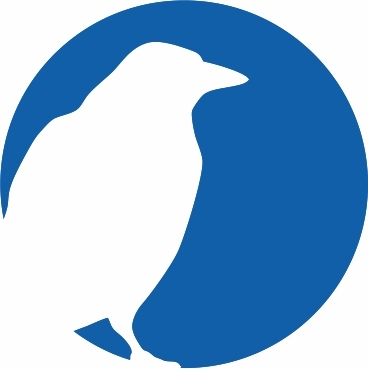 We know that not everyone requires the full capability of the OSTD, so we have developed the RCIED Threat Profile to allow our customers to access the key information they need to develop equipment and waveforms to meet evolving threats as they are identified, saving time, effort and most importantly, money. 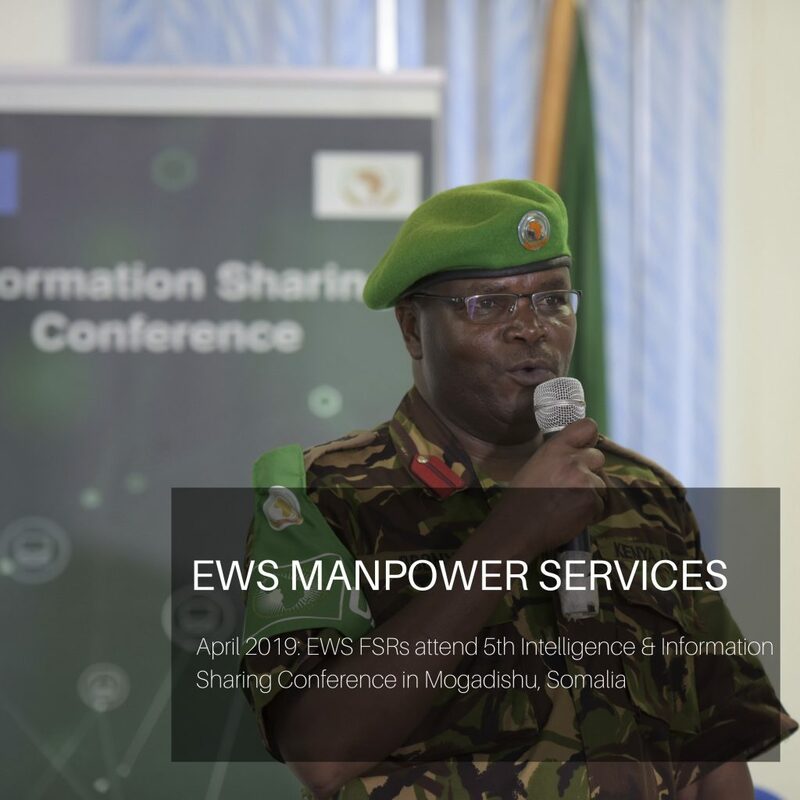 This data is current and constantly updated as relevant events are collected, thus increasing effectiveness and efficiency of decision making and decreasing the time taken to deliver new equipment and waveform options to market. 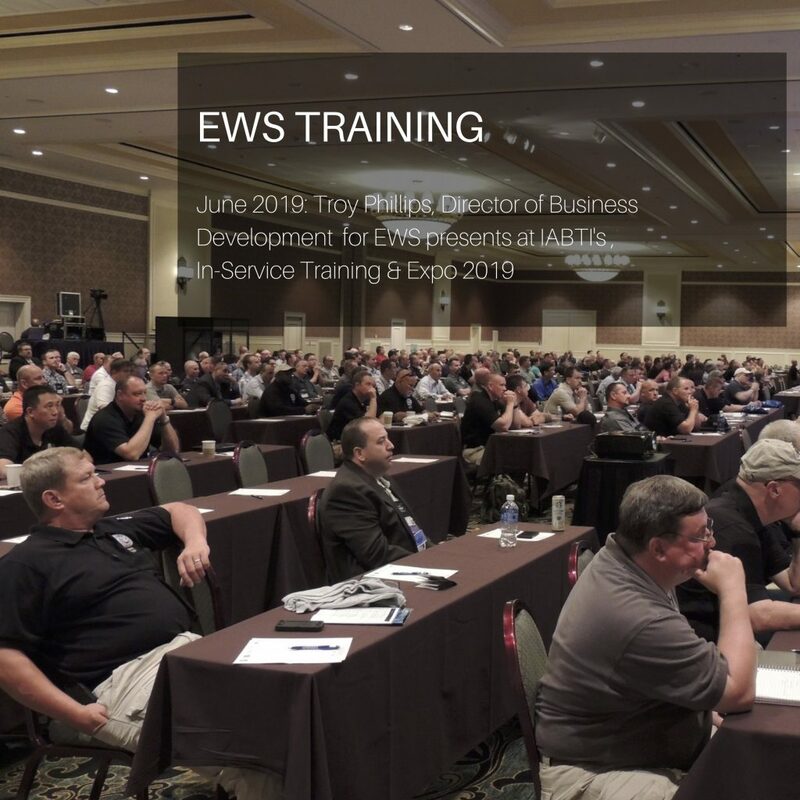 As a consequence of this enhanced RCIED awareness and insight into relevant RCIED events and technologies, your credibility with your own customers will be greatly enhanced. 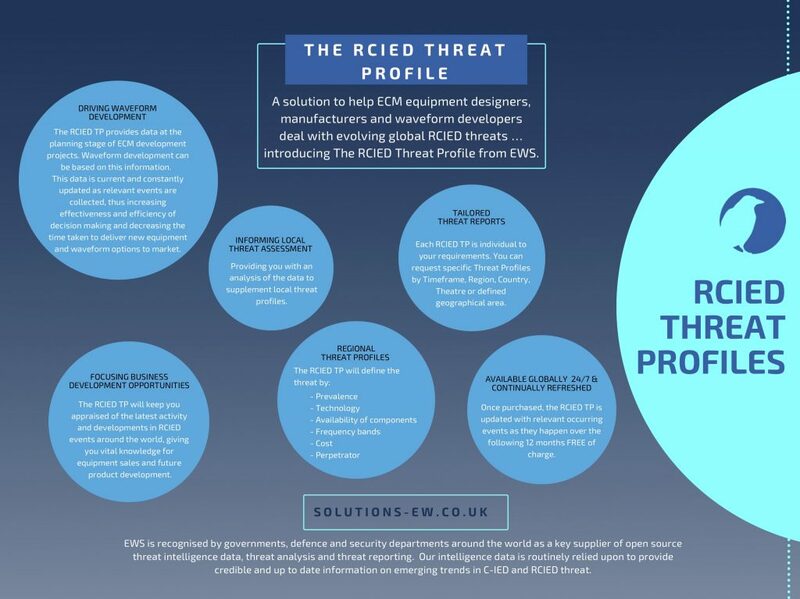 If you’d like to learn more about the RCIED Threat Profile from EWS and how it can support your equipment development projects, then please contact Kelly Willumsen via email kelly.willumsen@solutions-ew.com.